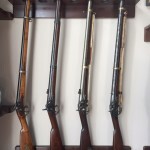 Fayetteville Armory Rifles are some of the most sought after Confederate weapons made. 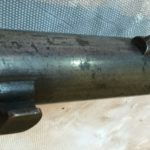 Most Southern weapons made during the war didn’t have much quality control, with most showing obvious flaws in the stock, barrel and hardware. 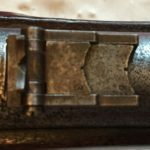 Most collectors including myself find the flaws unique to the weapon and love the story behind the flaws, however the Fayetteville Rifles were above the the quality standard for all Confederate weapons. 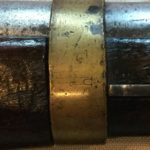 Union weapons went through a vigorous inspection process, if the viewing officer found flaws in the quality of the weapon he would reject it sending it back to the maker. The maker then would not get paid for the weapon potentially losing future contracts. In the South it was a very different story, most armories and manufactures of weapons didn’t have much of a quality system. At the Richmond Armory, the Souths largest weapons factory there was a viewing process but most of the weapons that were viewed and proofed would not pass Northern standards. However it was a much different story at the Fayetteville Armory. Phillip Burkhart, the former Harper’s Ferry mechanic and John Hall protégé served as master armourer for the Fayetteville Armory. 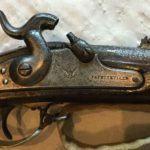 He along with many of the mechanics, craftsman and laborers that worked at the Harper’s Ferry Armory were responsible for making the different versions of Fayetteville Rifles throughout the war. 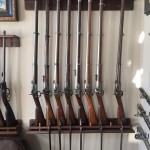 Some of the equipment that was confiscated by Stonewall Jackson at Harper’s Ferry in May of 1861 was sent by rails to Richmond Virginia the rest was sent to the Fayetteville Armory in North Carolina along with many of the expert mechanics. This would give the Fayetteville Armory the quality equipment and expert craftsman they needed to make such a quality weapon that would even pass the strict quality inspections in the North. 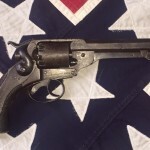 The newest addition to the Civil War Arsenal is an 1863 Fayetteville Rifle Type III. Except for the S style hammer the rifle is a close copy to the U.S. Model 1861 rifle-musket. Clean straight lines and brass hardware make the Fayetteville a hard weapon not to like. 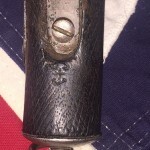 The type III is different from the type II with its 1863 dated Lock Plate made entirely at Fayetteville. The Type II Lock Plates were made at the Richmond Armory and were very similar to the Richmond Lock Plates with the low profile hump, only difference is the markings on the plate. Similar to the U.S. Model 1855 rifle the Fayetteville was designed with a stud on the right side of the muzzle for affixing a saber bayonet. Thousands of these fish scale bayonets were fabricated at the armory in 1862-1863. 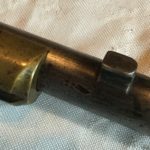 The saber bayonet was replaced with a socket bayonet by late 1863 on the Type IV Fayetteville’s for the remaining portion of the war. 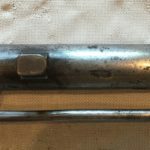 I am looking for a fish scale Saber Bayonet, if anyone knows of one please please contact me at civilwararsenal@yahoo.com attn: Gene West. Thanks for stopping by, and if you have any questions about this rifle or any of the other weapons in my Arsenal feel free to ask…..oh and I’m always on the hunt for new weapons to add to my collection, especially Confederate. If you have any and are interested in selling them give me a shout maybe we can make a deal. 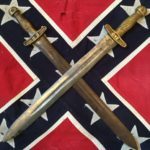 I Recently purchased a Confederate Artillery Sword that was for sale at an online auction, going against my better judgement ( because if something seems to good to be true it generally is) I put my bid in for the sword and won. In about a week my sword arrived and I quickly and carefully removed it from its packaging. I was surprised to have won the auction at the price I paid, not that I paid a little for the sword but I certainly would’a payed more if I purchased it through a reputable dealer. 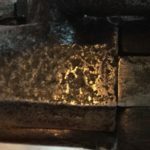 After carefully studying the sword for a couple of days and having some questions about its authenticity I sent it to one of the leading experts of Confederate weapons in the country. Shortly after receiving the sword the expert called me and said he couldn’t and wouldn’t authenticate the Artillery Sword. Needless to say I was pretty bummed and embarrassed about being fooled into buying the sword. 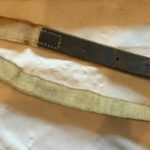 Fortunately there was a 30 day inspection period that allowed me to return the sword, leaving me the cost of shipping only out of pocket…..oh, and a little embarrassed. 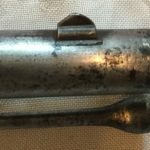 I’ve written in earlier post that you should never purchase Civil War Weapons from online auctions….funny how I don’t heed my own advice. I guess it’s another learning lesson on how and how not to buy CW weapons. 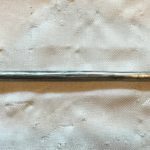 I recommend to all potential buyers, DO NOT BUY CW WEAPONS FROM ONLINE AUCTIONS…..FIND A REPUTABLE DEALER AND BUY FROM THEM…….it’s safer, cheaper (in the long run) and just a better overall experience. 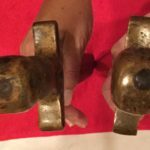 Carefully examine the photos of the artillery swords in the photos above, one is real and the other is fake…….can you tell? Its very hard to tell with just a photograph, most would need to handle the weapon. Sitting around the house today not knowing what to do, outside the snow is coming down and there calling this the storm of the century with up to 2 feet of snow and 50 MPH winds expected, sounds cold to me…. Anyway I decided to take some photos of my history room, a.k.a. 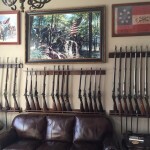 the “Civil War Arsenal”. 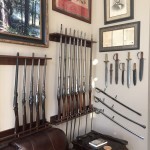 As you can see many of my antique weapons are displayed throughout the room. I recently had a carpenter build the racks that the rifles are mounted on, all in all I think the racks came out pretty nice and compliment the rifles and corresponding bayonets. You’ll also notice some D-Handle, Side Knives, Pikes and Artillery Swords displayed as well. Its my opinion that these weapons should be displayed so friends and family can see and handle them. 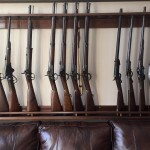 I don’t quite get the fun in collecting antique guns and swords then putting them in the safe or some out of the way place where no one can appreciate them. But thats just my opinion and you know what they say about opinions. Also scattered throughout the room are a number of paintings, historical photos, bronze castings and dozens of other historical items. You’ll notice that I am a big “John Paul Strain” fan he is perhaps one of the best artist in his field I have a bunch of his paintings. I also have some of “Karl Anderson’s” sculptures, he’s a less know artist then John however just as good and I believe the best in his field, especially when it comes to historical accuracy. 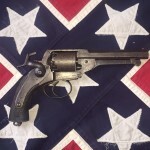 Imported by the Confederate Government, the Kerr Revolver was made by the London Armory Company in London England, approximately 7,500 were imported by the South with a serial number range from about 3000 – 10000, interestingly enough the U.S. Government imported 16 revolvers in 1861. 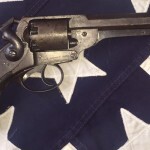 The revolver was made in both .36 and .44 calibers with a double action version released in 1863, however the Confederacy only purchased single action .44 caliber revolvers. The overall length is 10 ¾” with a 5 ½” barrel that has London proof marks. The lock plate is marked London Armory as well as the left side of the frame. The serial number is located on the cylinder and the bottom right side of the frame under the cylinder compartment. 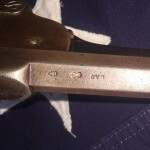 Many, but not all of the Confederate Kerr Revolvers are marked with the C/S import proof/inspection stamp of John Southgate, Chief CS viewer/proofer for the Confederacy in England, with the JS/Anchor demarcation. Which brings me to the next example in the Civil War Arsenal. 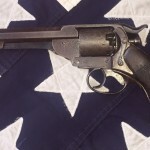 This relic condition revolver is a true Southern classic. 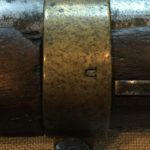 I consider it relic condition due to the pitting on the lock plate, hammer that doesn’t stay in the cocked position all the time and the poor condition of the wood hand. It seems to me at one time or another it must have been dropped or crushed causing a crack to the wood handle, some damage to the checking on the handle and the worst part of the damage is a small portion of wood is missing from the area of the handle where the JS/anchor demarcation is located. It’s still clearly visible but the top portion of the JS is missing, it’s still a bummer (the damage that is). 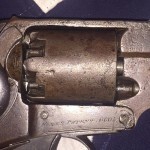 This Revolver has a serial number of 6605 on the cylinder as well as the frame which puts it in the range of confederate purchases. Along with the JS/Anchor demarcation assures us this is a Southern Imported Revolver. 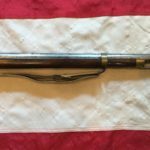 I first saw this weapon a couple of years ago on a web site of one of the more prominent Civil War dealers, I called him up and negotiated a price. The photos that he used to advertise the revolver were not the best quality and did not show the damage to the handle. I trusted his reputation and that he would alert me to any condition issues (he didn’t). So I probably paid more then I should have for this weapon due to the damage on the handle but I guess it’s all part of the learning experience. I’ll be certain to be more careful in the future and not trust the reputations of dealers. So there you have it another Confederate beauty and another addition to the Civil War Arsenal. 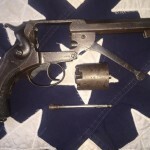 If you have any questions about this Revolver or any of the weapons in my Arsenal fell free to contact me at civilwararsenal@yahoo.com attn Gene West. 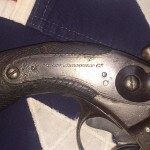 How Much Is My Civil War Gun Worth? 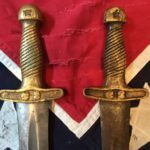 Great question, I’ve been purchasing Civil War weapons for some time now and I’m always asked “how much is my civil war gun, knife, sword worth?” Well it seems these days many of us have an unrealistic impression as to what our CW items are worth. Let me explain. First we need to differentiate between Union and Confederate pieces. 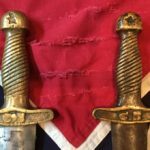 Confederate pieces will always seek higher value then Union pieces unless the Union piece has provenance or was carried by someone of historical significance. 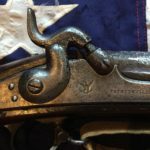 Many newbie Civil War collectors want to buy a long rifle, carbine or maybe a sword to start their collection. So they go on the internet or to the next antique gun show and they buy the first gun or sword they see not understanding its true value. 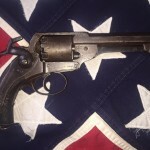 Then you have the owner of Civil War weapons who may have inherited Civil War items from a relative or purchased a couple pieces a few years back, they over paid for the gun or sword and now they not only want to get their money back but they want to make 50% premium, sorry but it doesn’t work like that. 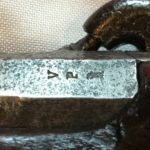 It’s my opinion that the best way of understanding value of Civil War weapons is to do your research. There are many reference books that have been published over the past 10 years that are an absolute must for all CW collectors. These books are written by the experts in the industry and many have 100’s of high quality photos that always come in handy, I will mention a few of these books at the end of this post. So back to value, there are many unscrupulous people out there that will take advantage of buyers of CW items if you don’t do your homework. When I first started collecting CW guns and swords I would buy the first item that came along only to see the same item at the next gun show for a fraction of the price and in better condition. This happened a few times before the light went off in my head. I started becoming more disciplined, I purchased all the research books I could to make me a better consumer. 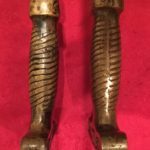 I would recommend to all reading this post “DO NOT BUY CIVIL WAR GUNS OR SWORDS FROM ONLINE AUCTIONS” you have no recourse if the item doesn’t meet your expectations. It’s tricky when you purchase a gun/sword from an auction because of the percentage the auction house adds on after the auction is closed, and that amount is usually 15 to 20% on top of the winning bid. You’re better off buying your CW items from the major dealers in the industry. I found that you can generally negoicate price with the prominate CW dealers and they usually have a 3 to 7 day buy back if you’re not happy with the piece. They want you to keep coming back so they’re going to treat you like a client rather than someone they won’t see again. Many of the dealers have large inventories, since there always buying large collections of weapons and they need to turn over there inventory, so there willing to sell items at fair market value (sometimes even below) especially Union pieces. Let’s face it the Union made millions of weapons during the CW and there’s no shortage of those pieces. On the other hand the Confederate weapons that are a horse of another color. 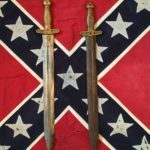 All Confederate weapons are considered rare, some more than others but never the less all Southern weapons are rare. I’ve gotten to know some of the major Civil War dealers over the past few years and I can generally buy items well below market value because I pay my bills and I keep coming back time after time. Most of the weapons I buy these days are Confederate. 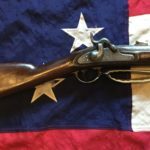 I’ve purchased a number of Bowie Knives, Pikes, Carbines, Long Rifles and just about anything else that whistles Dixie. 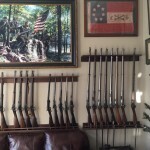 I have a nice collection of Richmond Virginia Long Rifles, short rifles and carbines and I didn’t pay more than $6500.00 for any of them, well below market value and yes I bought them from dealers, one of the big mistakes I made is I bought an 1863 Richmond Carbine from an online auction for $4600.00 only to receive it and find the barrel had been cut down. I had no recourse in returning the Richmond to the online auction so I ate the loss. That was a big loss to eat. DO NOT BUY FROM ONLINE AUCTIONS!!!!!! So again I ask what is my Civil War weapon worth? I guess what someone is willing to pay for it. 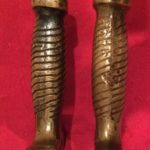 If you have a Civil War weapon that you want to sell or just want to understand its value I can help. Email me at genx1969@yahoo.com and I will get back to you ASAP. If I can’t help you I may know someone who can. If you have any Confederate weapons that you want to sell, I am always interested. 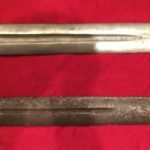 The Civil War Arsenal is looking to buy, muskets, carbines, revolvers, swords, knifes and other items associated with the Civil War. 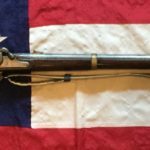 I’ve been purchasing weapons of all types from major Civil War dealers for some time now, but I’m hoping to establish a niche with this web site that allows me and others to buy, sell and trade CW weapons. I would be willing to pay top dollar for quality Union and Southern Weapons. 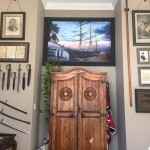 My weapons of interest are Southern/Confederate provenance but I’m not opposed to buying Union pieces, after all the Union made some pretty COOL pieces. No collection is too big or too small; I’d love to have first crack (opportunity) at buying your Civil War weapons/collections. 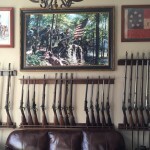 If only I could buy Civil War weapons at what the Dealers buy weapons for, my collection would be GRAND. 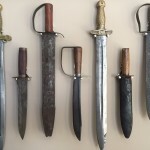 So please if you have any Southern or Union Weapons, D handle Bowie knifes, Carbines, Muskets (Imports or Domestic), Revolvers, Artillery Swords. Email me at genx1969@yahoo.com . I’m especially interested in any Richmond VA. Muskets, Rifles and Carbines any year any condition. 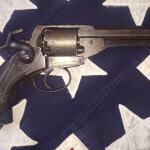 Eugene West on How Much Is My Civil War Gun Worth? 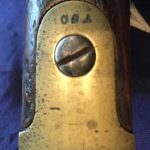 Thomas on How Much Is My Civil War Gun Worth?